One of the side effects of downing leaning, dying, diseased, dead, damaged, or infected trees is that there are unsightly stumps left behind. 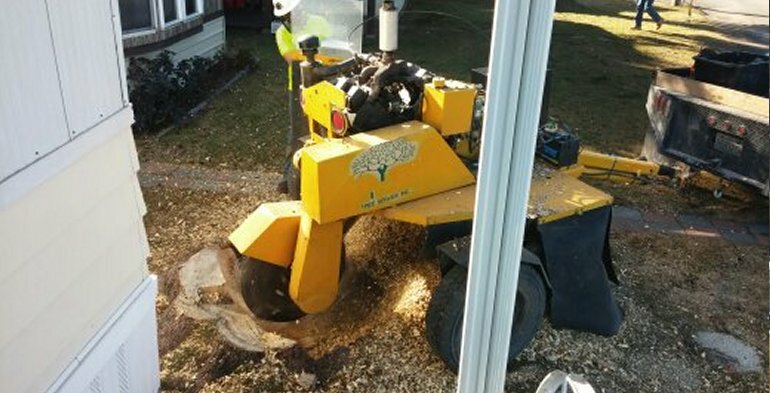 At The Tree Service, we finish the job completely, removing the stumps left behind. We can also remove stumps from old logging or tree removal if there are stumps in your yard, cluttering your landscaping. Using state-of-the-art equipment, we not only remove the branches and logs from tree removals, but we also grind the stumps left behind down flat or even recessed, and then clean up the saw dust and fill in any holes left behind, leaving you with a beautiful - and safe - yard. Got stumps? Let us take them out for you! Call The Tree Service today for your consultation!